Corliss PA - View of the PA Railroad station at Corliss Pennsylvania. The assignment was for the PA Railroad due to a train derailment near the station - 1964. 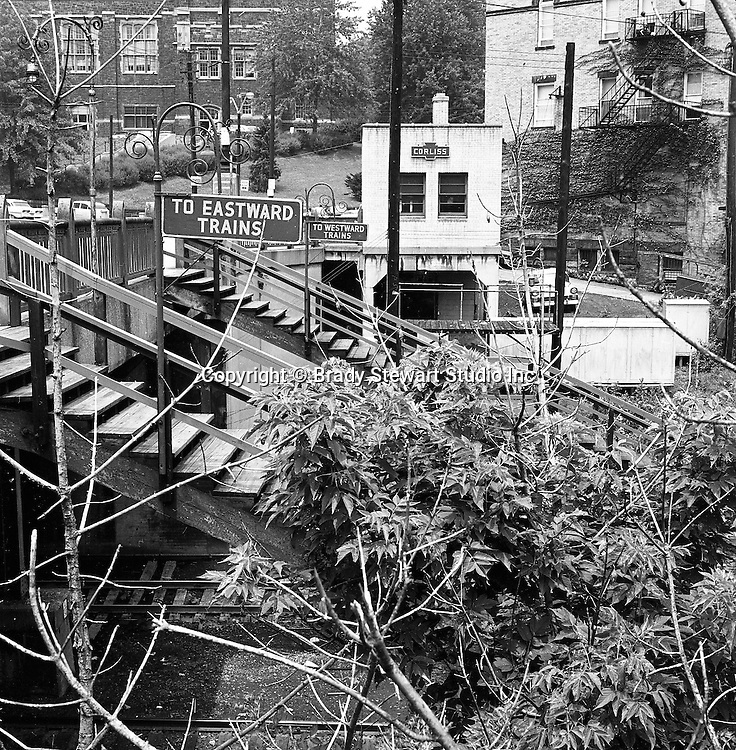 Brady Stewart Studio was a contract photography studio for the railroad from 1955 through 1965.